Billionaire coffee merchant Howard Schultz does a sit-down with Andrew Ross Sorkin in a Manhattan Barnes & Noble to discuss how he’s considering entering the 2020 presidential race as an independent and gets fresh-roasted by an audience member. Too many Americans are not ready for yet another outerborough-born billionaire (Brooklyn) coming in and mucking up the presidency. Especially because Schultz’s entry into the race as a third-party candidate could swing the election for the incumbent. *The judges will never apologize for a Haircut 100 reference. Saturday: Saturday Night Live presents an insightful and spot-on skit about how obnoxious recent visitors to New Orleans can be. Monday: Anthony Davis informs the Pelicans that he will not re-sign with them at season’s end. Dude, if you’re going to California why not join the Dubs? Do you realize that LeBron will be 35 next season and already has 1,400 career games under his belt? There are a lot more “groin injuries” in his future. We don’t want to say that we’re against anything that keeps the propagation of this Lakers 24/7 narrative alive, but we are. A message to my ESPN friends: We love how Scott Van Pelt makes a plea about how the blogosphere/sports media annoyingly lives in the future and never the present. So how come all of you (SVP included, though at least he preemptively decries it) keep doing this “Lakers All The Time” bit? They stink and they have for awhile. We know they’re historically a great franchise, but your obsession with them is tantamount to tampering. Zion had 26, 9 and 4 blocked shots in last night’s victory in South Bend. 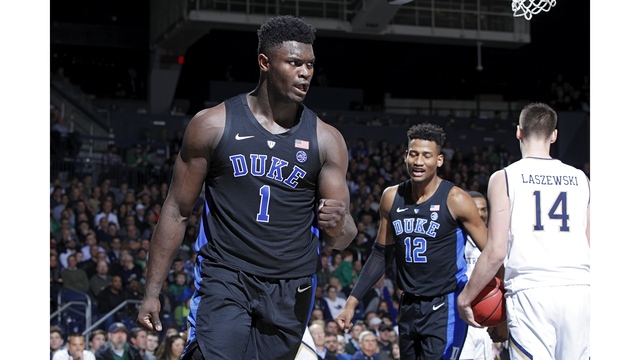 We’ve changed course in our Zion Williamson assessment. Yes, he’s not long and that may not be what NBA GM’s are looking for, and he’s not a great outside shooter, and he still dribbles like a bull in a china shop, but here’s what he does have: incredible energy and strength, especially around the rim. The team that drafts him (wait, wasn’t I just hectoring ESPN about staying in the present a moment ago?) is going to have to be amenable to having an outlier, a square peg, but there is something Xavier McDaniel/Rodney Rogers/Charles Barkley about his game that is highly appealing. As for Duke this season, they’re really, really good. We prefer the Virginia Redemption storyline one year after being the first-ever No. 1 seed to be knocked out in the first round. Yesterday in a Brooklyn court room the prosecution rested its case against notorious drug lord El Chapo (a.k.a. Joaquin Guzman). Also yesterday a Massachusetts court ruled that a lawsuit against the Sackler family, the nation’s most aggressive proponents and marketers of Oxycontin, will have its documents revealed on February 1. Oxycontin and other prescription opioids are, in terms of American deaths per year, are the mot lethal drug, legal or illegal, out there. Two Sackler brothers, since deceased, were medical doctors who launched Purdue Pharma, which was the first big manufacturer of Oxycontin in the U.S. 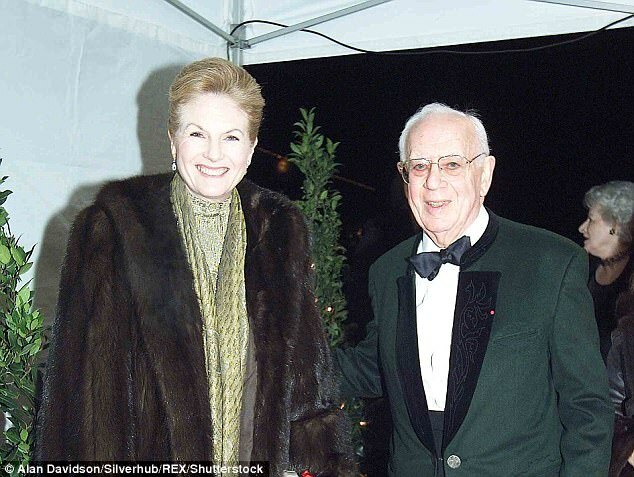 The Sackler name is all over art institutions and other such cultural spots for the family’s philanthropy. Are they gonna get the Christophe Columbus treatment eventually? 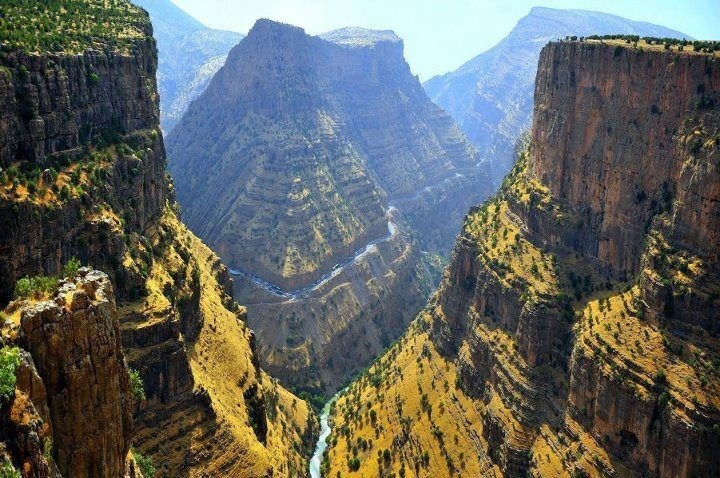 Take a few minutes if you have them (you do; get off Instagram) and read this wild adventure of a young man motorcycling through Kurdistan. If it sounds crazy, it kinda is, though not as crazy as biking your way through Syria. By Jason Motlagh in Outside magazine, which still often does tremendous work. Arguably Canada’s greatest rock group (after Rush), inarguably Winnipeg’s greatest rock group, this is The Guess Who. This was their first top ten single, released in 1969. The band once played the White House for Richard Nixon (but they were told not to play “American Women”) but we have no idea if they ever shared a bill with The Who. Written by Billy Wilder, directed by Ernst Lubitch, and starring Melvyn Douglas and Greta Garbo, this 1939 comedy classic is your typical fish-out-of-the-Volga schtick. A stern Russian woman is sent to Paris to sell tsarist jewels after the Bolshevik revolution and finds herself irresistibly drawn to the Parisian lifestyle. Josef Stalin is subtly mocked. It’s like An American In Paris with much less dancing. Guilty pleasure: Lover Boy – Canadian band.